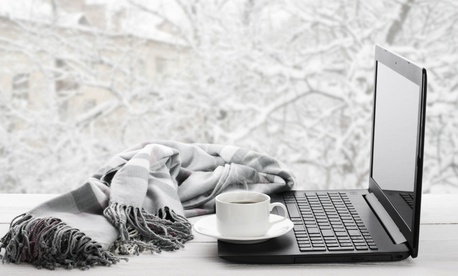 The Office of Personnel Management on Tuesday announced new regulations governing time off for weather-related events, a move that could leave telework employees in the cold. In a memo to agencies, OPM Director Jeff Pon said the new rules, implemented as a result of the 2016 Administrative Leave Act, bar departments from granting paid weather-related leave to employees whose telework agreements allow them to do their work from home. Paid time off as a result of snow or other weather making it unsafe to travel will still be available to feds who work at an agency office or a telework site. There are also some cases where someone authorized to work from home could still be granted weather or safety leave. “If, in the agency’s judgment, the employee could not reasonably have anticipated these conditions, and thus was unable to prepare for telework or otherwise unable to perform productive work, the agency could exercise discretion to grant weather and safety leave,” Pon wrote. Last week, Pon also released policy guidance regarding a 2016 OPM rule change that removed a requirement for three years of “substantially continuous” service for federal employees to achieve career tenure. The rule, which went into effect in December 2016, now makes the requirement a “total” of three years. Obtaining tenure makes it easier for employees who leave federal service to rejoin at a later date. The agency also confirmed last week that the omnibus spending bill signed into law last month renews a pay freeze for high-level political appointees and the vice president. OPM had interpreted a number of short-term continuing resolutions to maintain the pay freeze until those deals expired, and officials said in a memo to agencies that the new spending agreement extends the freeze, which locks pay rates for several top government jobs at 2013 levels, until the end of 2018.